Behind every great voice in music is a marvelous force possessing it, and "The Art Of Amália," a documentary from Bruno de Almeida, acquaints us with a pair that will never be forgotten… unless you are from the United States. Readers from other countries will have undoubtedly already heard her name by now; elsewhere, Amália Rodriguez, whose astonishing and successful career lasted for 60 years, is already seen as a legend among peers. She was a Portuguese singer born into a low-class neighborhood of Lisbon in 1920, and at age four was already being asked to sing for the neighbors. In 1939 she began a career as a nightclub singer, captivating audiences with a seductive voice that melted even the coldest hearts, and into the 1940s a recording and movie career were already beginning to take shape. On home turf, her records and movies broke several records, while abroad, listeners slowly started catching on to the depth of her alluring persona. Why didn't the seemingly universal appeal transcend the U.S. boundaries? The movie seems to argue – albeit silently – that this nation codifies its interests to more narrow and popular sounds, and audiences are seldom willing to embrace new styles. Techno music, for instance, may have found a massive audience in the recent years, but it had for almost ten more years already established a healthy fan base overseas. Sometimes trends fall far behind the awareness of neighboring cultures. Rodrigues’ style is known as "Fado," a form of expression using what the singer herself refers to as "bad destiny," or raw and often painful emotional content. In the mainstream, it would be classified as a niche musical genre; in Portugal, and inevitably in neighboring countries, it was more than just a demassified style of musical expression – it was a powerful technique of connecting life to art, with one of the most beautiful voices serving as the bridge. Traditionally those singing in different languages have a hard time crossing over the cultural lines, but Fado prides itself as a conduit for emotion rather than communication – certainly more universal. Proof of that theory: Amália herself, who traditionally sang in her native language, had great success in Japan. This documentary effectively provides insight into one of the world's great talents, using old archival footage from public appearances, accounts from close friends (mostly poets who wrote material specifically for her to sing), and even an actual interview with the woman herself, who describes the events that unfolded in her life in fascinating detail. The movie's tone is very informative, edited together with careful consideration, and usually a touch of sporadic intrigue thrown into the mix. One of the more memorable surprise moments involves the filming of one of her movies, in which she was singing to a crowd on camera. The audience at one instance, she notes, forgot they were on the set of a movie, and actually broke out into thunderous applause after the tune was over. The director's response to this? "The scene is ruined, but that's a good sign." 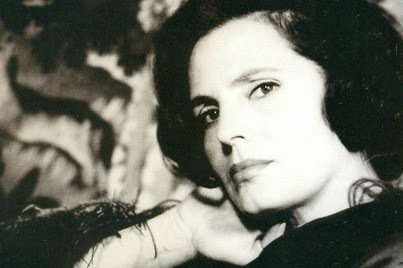 Before she died, Rodrigues thought of Almeida as "her private filmmaker," and no wonder; this is the director's fourth film using her life as source material, following the concert feature "Amália, Live In New York City," "Amália, A Strange Way Of Life" (which was actually a five-part documentary that was cut down to size to become this film), and "Amália-Expo '98." In an interview with the Internet site Film Threat, Almeida clarified his apparent obsession over the artist: "I absolutely love Amália Rodrigues and her music, so it wasn't hard to keep making films about her. You could say that I became obsessed with this extraordinary woman." The drawback to all of this, alas, is that on deeper levels, we learn that Amália simply wasn't that intriguing as a person. Her career was lofty, and she certainly had ambition, but there was no apparent struggle in her attempt to reach the top. She was an immediate success story. This gives the documentary a routine structure, with little surprise and creativity, undermining the thesis as a whole. I won't argue that Rodrigues was a great talent during her lifetime, but I find it odd that the singer described herself as a woman in constant sadness, even though there were no emotional scars to justify it. "The Art Of Amália" is a watchable, spurring documentary, if only for the fact that it wants desperately to seek out uninformed viewers and expose them to a vocalist’s unmatched skill for song. But when she stops singing it is a wonder even the director didn’t grow bored.